Many of my favourite games are part of the 18xx family, so I decided give them a main category on my webpage, simply because we´re gonna see a lot of them in the future. The series consists of hundreds of games, some of them very popular, others exist only in a few dozen copies. The first game of the series, developed by Francis Thresham, is 1829. 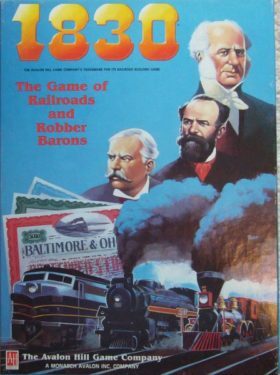 The first big success was 1830, also by Thresham and published by Avalon Hill. Most games have the following in common: Players take the role of investors in railroad companies, the majority shareholder of a given company becomes the president. A single Stock round, where players trade shares, alternates with a number of Operating rounds, where the presidents run the operations of their companies, wich includes track and station building, running trains and buying new ones and paying or withholding the earnings as dividends, wich will influence the stock value. Companies have their own treasury wich is completely seperate from the player´s money. During the course of the game, new, more expensive trains become available, while the old ones are removed. Timing is the key here: Players must forsee, when the trains expire and make sure that there´s always enough money in the company´s treasury to get a new one, otherwise the president has to help out with his private money, wich might even lead to a bancrupcy. They also have to be extremely careful, because presedencies might change throughout the game, depending on the shareholder majority, so you absolutely wanna avoid that you end up being the president of a crappy company. Goal of the game is to be the richest player, wich includes cash and share value. You can see this as two games in one: an area control game on the map and the economic game during the Stock rounds. The games usually have little to no luck and are extremely unforgiving: Every decision is critical, every mistake will be punished. There´s no catch up mechanism, a wrong decision at the beginning of the game will cost you every chance for victory right away. Although most of the games share the same features, they are often very different. A few rulechanges give you a very different experience. Most of the games are pretty long, between four and eight hours I guess. Componentwise, there´s a huge range: Modern games from big companies often have excellent components, others are simply print and play quality. Because there seems to be no real copyright for the basic system, a pretty unique market evolved, where many people develope their own 18xx game, produce the stuff at home with scissors and a laminating machine and then sell it at ebay or via BGG. Some companies like Deep Thought or the Golden Spike produce real gems with an outstanding gameplay but ridiculous components at a rate of one copy per week or so, so the prices are sometimes higher than for the most fancy miniature games. Especially here in Europe, starting collecting 18xx is really a expensive passion. 1830 is board game history. Published by Francis Thresham, who also did Civilization by the way, this game made a whole family of games possible. 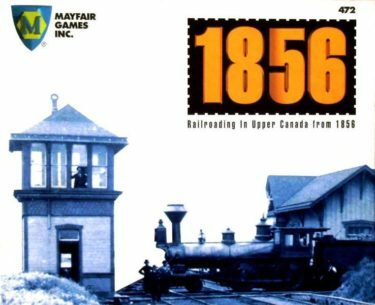 It is already a nearly perfect game, containing all the key features of an 18xx game. It uses a full capitalization, and leans toward the stock manipulating aspect of the series. The map is fairly open, still, the key areas will be heavily contested. I did a playthrough here. 1856 is settled in upper Canada. It adds loans that may be taken by the companies. When the first six train comes out they have to be repaid…but if you cannot do that, the president may dump the company in a new forming government company, wich swallows all the foul companies. This is a big gamechanger, because you can get a lot of money in your company and exploit it completely without being afraid of getting bankrupt. The shares will be exchanged in a 2 to 1 ratio, so you´ll lose some money here, but it´s often worth it. Apart from some other minor changes, the game uses a partial capitalization, wich also changes the flavour of the game a lot. Components are better than Avalon Hill 1830. 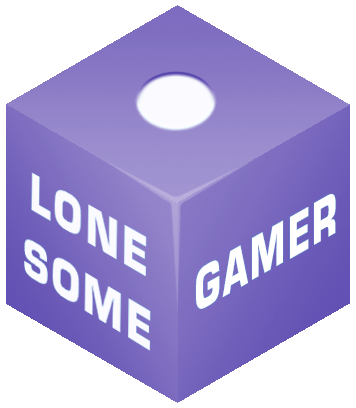 A playthrough can be found here.